The last episode of the TV series “Siya Ke Ram” starts with the Kaikeye is telling to Dashrath’s about her 2 wishes and the Raja Dashrath is shocked to to know so. Kaikeye said about this to the Dashrath that you had Ram’s sworn, Dashrath says Ram is your son too, but Kaikeye says about this I want my Bharath to be the king of the Ayodha. And if Ram will be king of the same I will be the Daasi, and all that. Dashrath asked to the Kaikeye that why you are giving him punishment, Kaikeye says that this is not she is giving punishment to the Ram; this is just simply her 2 wishes. The King Dashrath says okay, I will be making Bharath king and will be sending Ram for Vanvaas. Kaikeye sigh with relief, and says that it is Bharath who deserve to be the King and he will be. The King Dashrath cries and breakdown. Now the King Dashrath says about himself that Raghuvansi fulfil his promise does not request anyone to speak about it. 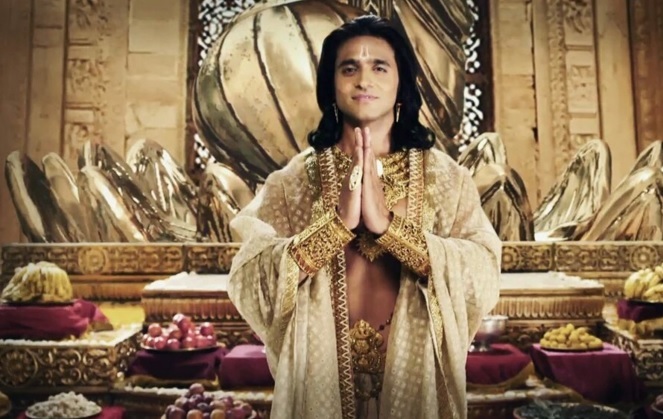 Dashrath says ok I will send Ram to Vanvas but after my death, you and Bharat will not be able to see my dead body. Now the King Dashrath holds his heart and falls down and goes unconscious. Devi Parvati says about this how Ram will bear his Father’s pain and all these. About this Lord Mahadev says that if a Devta takes human’s Avtar then he have to bear the pains of the human anyway. Now this one will be a test for Ram which will be setting inspiration for the milestone of the people. Danavs tell Ravan that they welcome their enemy with swords but Ravan shows his tantrum there. Vidyutjeeva says Ravan has lost her mind; and plan about the Vishawvijya right now. Now Sumitra arrives in the Ayodha and shocked to see that the Dashrath unconscious fall down on the ground. Kaikeye orders Ram to leave for the Vanvaas.